Then I received an invitation to a Chablis Seminar and Tasting at Bouley Test Kitchen. 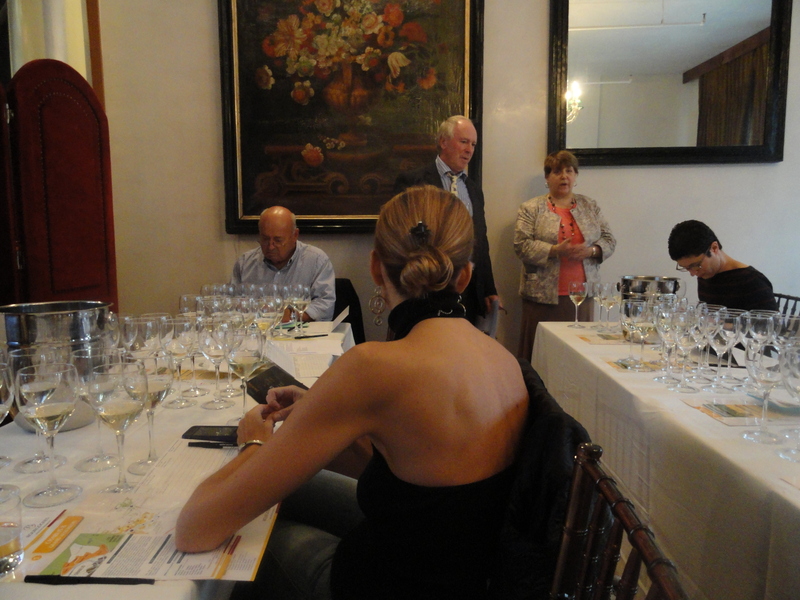 The seminar was being given by Mr. Christian Moreau and Jean-Marc Beocard, both well know producers of Chablis. I was being attacked by Chablis on all sides. Linda Lawry of the International Wine Center started the seminar off by making a few remarks about Chablis. One of the points that she made was that the producers in this region say that they do not make Chardonnay, they make Chablis, and Chablis is on the opposite end of the spectrum from over-oaked Chardonnay. Linda also noted that 60% of Chablis is exported. This she felt was because it is such a well known and well received wine. She then introduced the two principal speakers; Christian Moreau and Jean-Marc Beocard. From the beginning they made it quite clear that they were here not representing their wines, but the region of Chablis and therefore none of their wines would be part of the tasting. Mr. Moreau was the first to speak and said that Chablis may not be for everyone. This is because the producers make Chablis for themselves and not for the market. They do not make Chablis for the American market, Japanese market, etc. or to please the critics. True Chablis, continued Mr. Moreau, is unique because of the place, the soil, the microclimate and the way it is made. The climate and soil here are very different from the rest of Burgundy. The soil in Chablis is limestone and chalky clay called Kimmeridgean and consists of fragments of fossilized shells, including a large amount of oyster shells, deposited by the sea that once covered the area. This many account for the mineral character of Chablis. 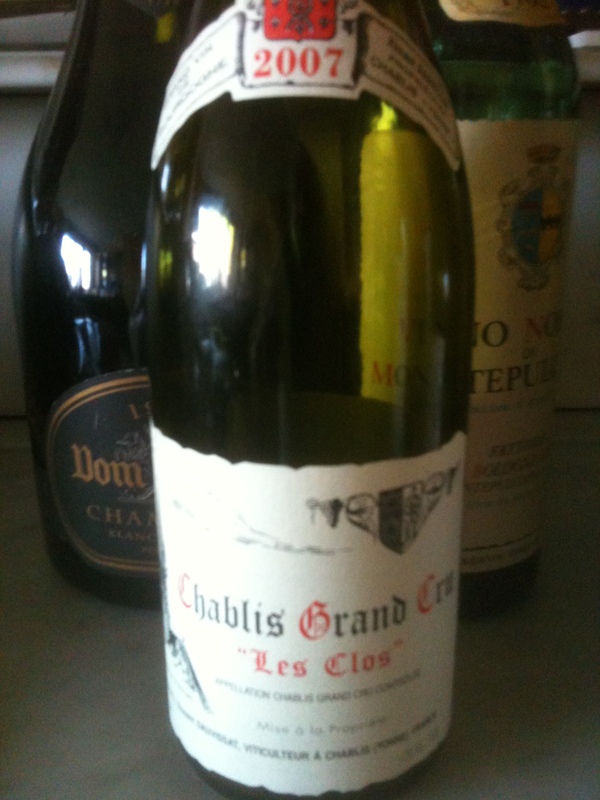 Mr. Moreau said that Chablis never tastes the same from vintage to vintage and bottle to bottle. He believes that Chablis is an excellent food wine and that a grand cru Chablis goes very well with cheese. I had this experience a few weeks ago and I could not agree more. We had the 2007 “Les Clos” with a selection of cheeses and I had to admit that white wine may go better with cheese than red wine. The combinations were great. Of course the classic dish with Chablis is oysters. 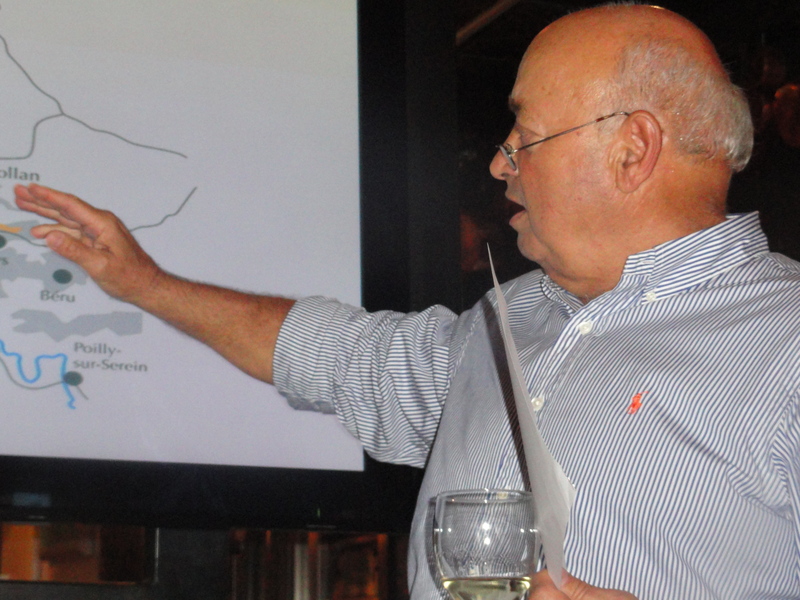 There were eight wines in the tasting and Mr. Moreau began by speaking about the 2009 vintage. He said it was a good vintage, had good acidity and was easy to drink. But he did add that the 2009 vintage will be ready to drink before the 2008 vintage. 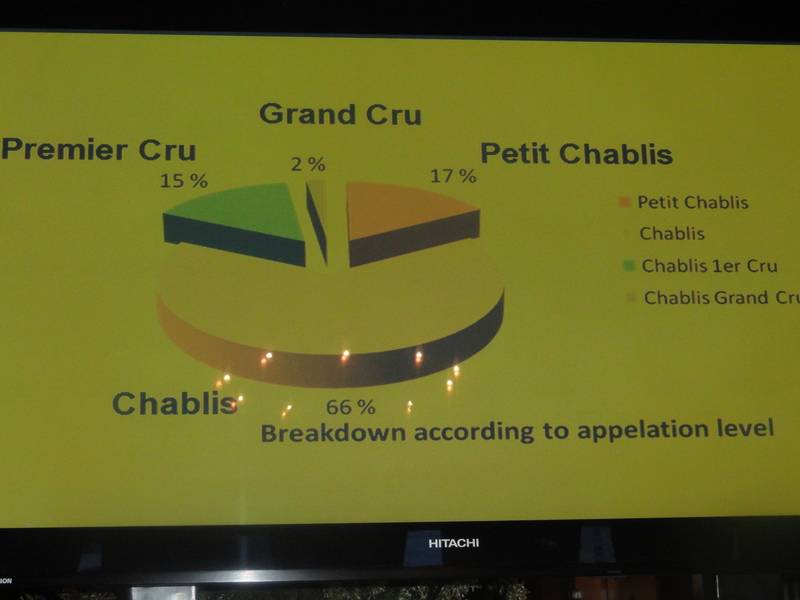 There are four different types of Chablis: Petit Chablis, Chablis, Chablis Premier Cru and Chablis Grand Cru. Petit Chablis 2009 Domaine Chistophe Camu This was an easy wine to drink with good acidity, hints of citrus, a nice finish and pleasant aftertaste. Mr. Moreau said it would make a very good aperitif. Petit Chablis 2009 Domaine des Malandes This one had a little more body, good acidity and minerality with earthy aromas and citrus flavors. Chablis 2009 Clotilde Davenne Domaine Les Temps Perdus Good acidity, easy drinking wine. Chablis 2009 Domaine Jean-Paul et Benoit Droin. This was my favorite of the first four. 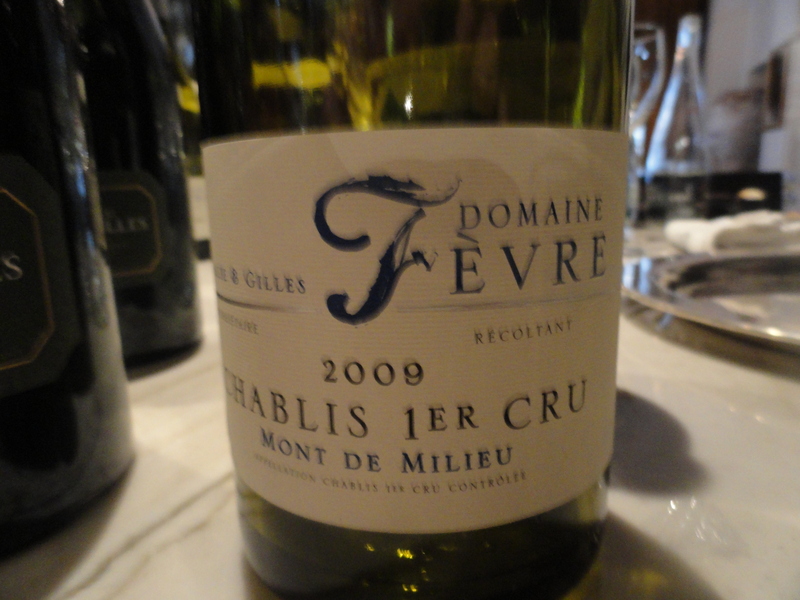 It had more structure, brighter citrus fruit, and good minerality and tasted like classic Chablis. Mr Beocord said that malolatic fermentation always takes place in the wines of Chablis. This is because they are so far north and they do not have a problem with acidity. In fact they are so far north that they can have a problem with spring frost. They do not want a wine that is fruity and up front because wines like this are not meant to age and Chablis can age for a number of years. He also said that 2007 was an excellent vintage. This is a light, very elegant wine, well balanced with good acidity. The vines are 30 years old and barriques are used but only 5-6% are new. Chablis 1e Cru Vaillons 2007 Domaine Billaud-Simon. The Vaillons vineyard is 11 hectares and as far as I know this wines was aged in stainless steel. It was a very well made, elegant and well balanced wine. Chablis Grand Cru, 2007 Château Grenouilles La Chablisienne. This is the Grand Cru of the cooperative of Chablis which I believe is a two hectare plot. This wine had the most wood but it did not interfere with the Chablis character. 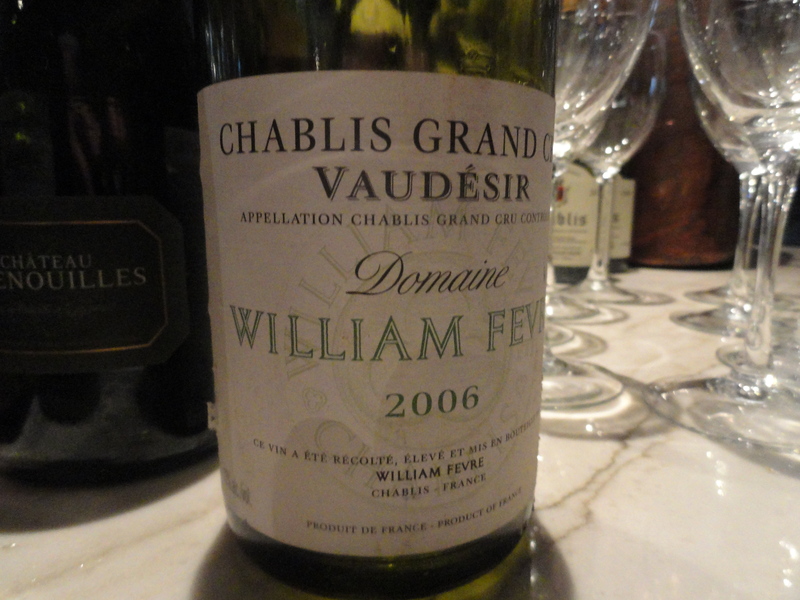 Chablis Grand Cru Vaudésir 2006 Domaine William Févre. This wine had the most bodyand was drinking the best of all the wines. I believe the winemaker here believes that Grand Cru must have oak aging but he also believes that new oak does not belong in Chablis. The only problem with the seminar was that the speakers were not talking about their wines but the wines of other producers and could not go into too much detail about each wine. Mr. Moreau said that he uses barriques but only a small percent are new, 3 to 5%. The rest are second, third, fourth and even fifth passage. Both Mr. Moreau and Mr. Beocard believed that some barrique aging was good for Chablis. 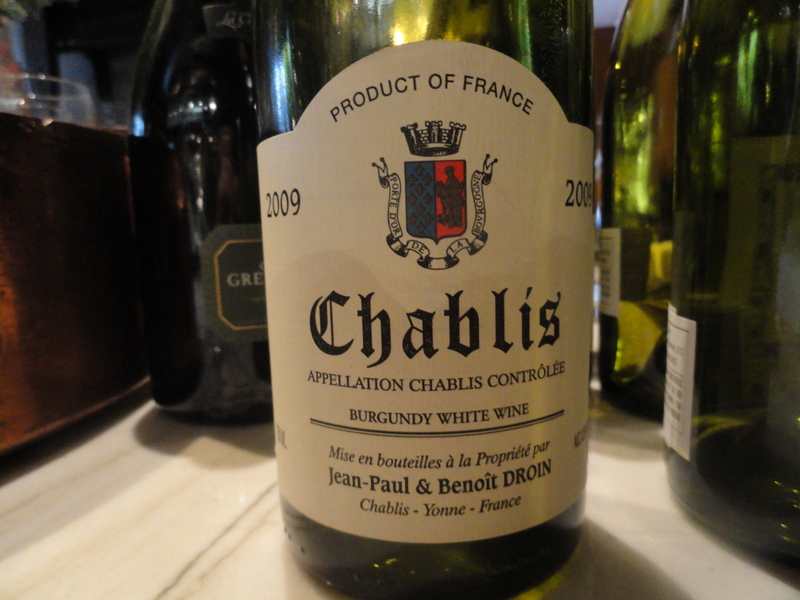 Chablis can take the oak aging and it enhances its aromas and flavors. The oak should always be very subtle. The term “Chardonnay” was never mentioned! However he also mentioned that there are producers that only use stainless steel for their Chablis and strongly believe that Chablis has so much going for it, that it does not need oak. 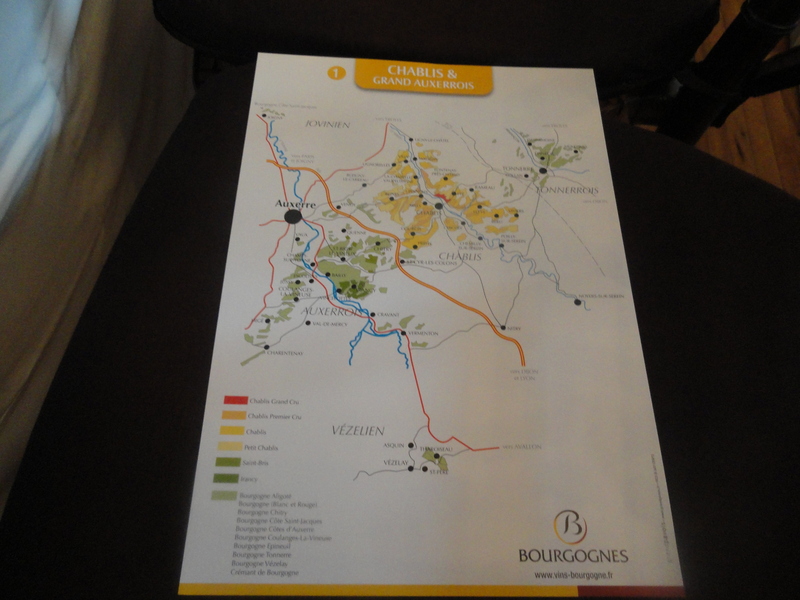 When the tasting was over we were given a copy of “The Wines of CHABLIS and the Grand Auxerrois” by Rosemary George. I was very pleased with the way the wines were showing and would agree with the statement that Linda Lawry made at the beginning that Chablis is at the opposite spectrum of over oaked–dare I use the word– “Chardonnay”.